Modernization of the workspace brings new challenges: how to find and schedule an available meeting space, manage multiple technologies in various locations from a centralized position without the need for a large number of cables and connections, ensure the safety of the network and all connected devices and enable full energy efficiency of the workspace. 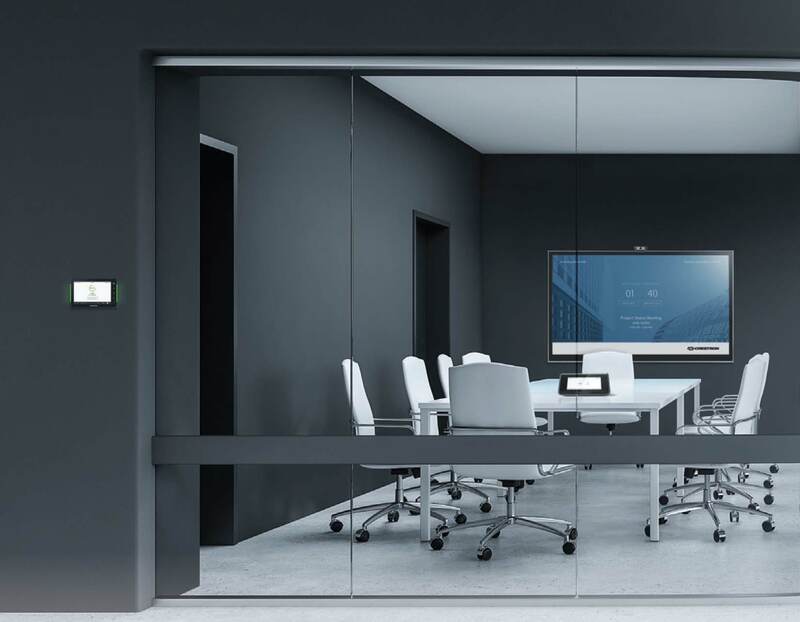 Our solutions include audio and video controls, lighting, thermostat and shade controls, room managers for increasing productivity and efficiency, and providing greater comfort and security in various sectors of application. We offer certified Audio & Video, videoconferencing and presentation solutions, central monitoring and system management that allows monitoring of energy consumption, remote troubleshooting, and system control throughout the organization through on a single user-friendly platform. We use scalable, reliable technologies for flexible corporate solutions, designed to increase the productivity and efficiency of each company. Dynamic systems and intuitive controls enable central monitoring and management of all technologies through a single, advanced and reliable platform. Be highly professional in any workspace, look for the closest available meeting room, book it and invite participants, all from your smartphone or laptop. 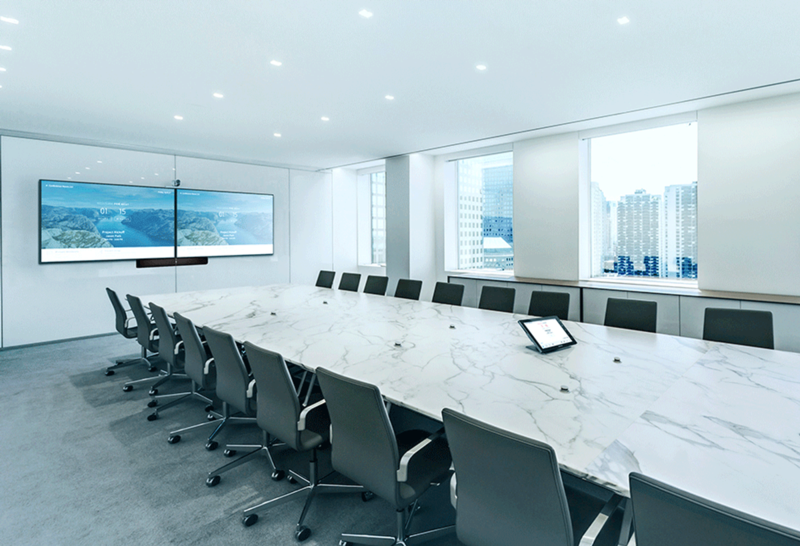 Advanced proximity detection technologies turn on the lights and the AV system before you enter the room, and then turn them off after the meeting has ended. Make sure that all participants see and hear the presentation from any place in the room and allow them to plug in or power their mobile devices using only one cable or a simple wireless connection with the presentation system. Communicate without interruption and signal delay with an easy to use video conferencing system and enable secure and stable connection with your colleagues in any part of the world. In today’s rapidly evolving world of technology, schools and universities need to meet the demand for high-performance technology both in and out of the classroom. Centralizing management, monitoring, and control is simple over a single easy-to-use platform. Management tools are always available to teachers and professors, and only one touch on the intuitive touch screen transmits video, displays a document, broadcasts a lecture, or starts recording a lesson that later can be distributed to distance learners. Our systems support hundreds of rooms within the building or the entire campus, leveraging existing infrastructure. Cooperation and exchange of information between students and teachers has never been easier even beyond the classroom walls with the latest collaboration tools and video conferencing systems. Safe presentation requires only one cable or a simple wireless connection with the presentation system. Advanced managing systems give complete command and control over all the technology in the operations center, government and military institutions. 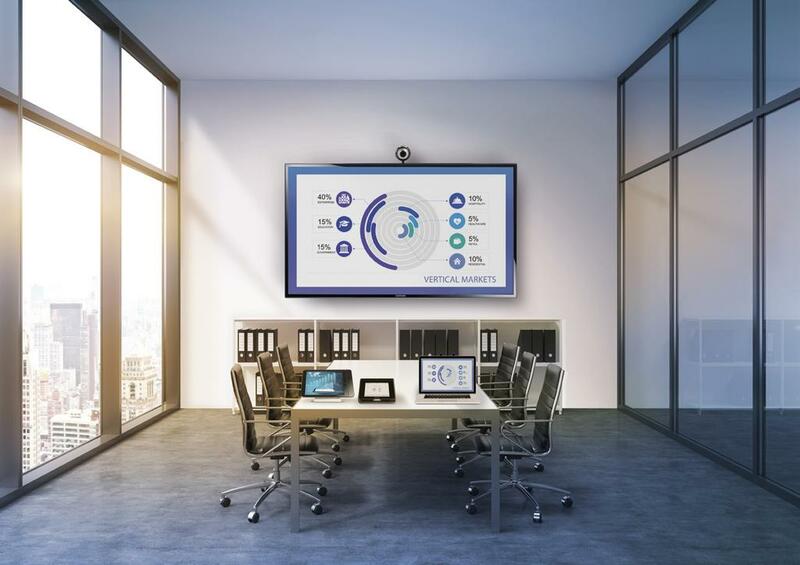 In all situations you can rely on a secure, scalable and dynamic AV, videoconferencing, presentation and lighting control solution, for monitoring and management from a single user-friendly platform. Stream 4K video and play high quality audio throughout the room with easy-to-use video and audio distribution systems. 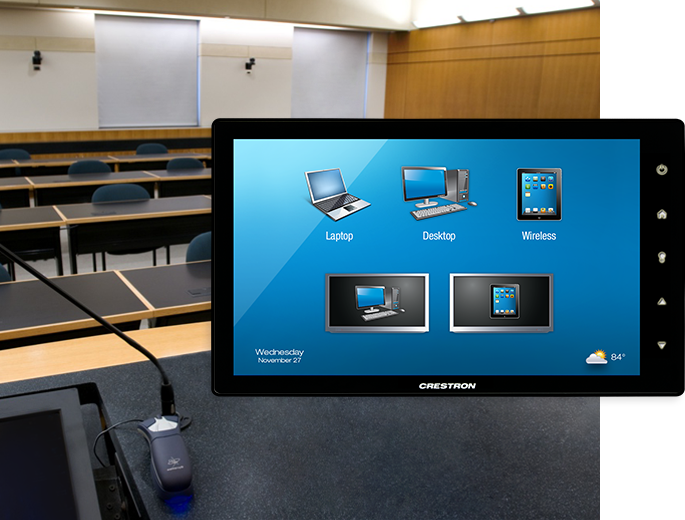 Display presentations from any device through a single cable or a simple wireless connection with the presentation system. 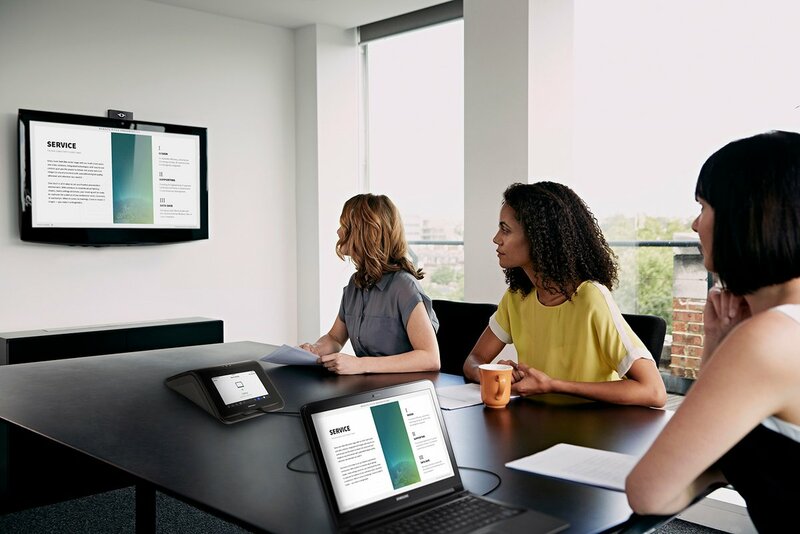 Provide a stable connection without delay with colleagues anywhere in the world with scalable and cost-effective video conferencing systems. Remotely troubleshoot systems and enable full energy efficiency throughout the organization. Impress your guests with the ultimate smart technologies. From architectural lighting, motorized shades, and automated climate control to high-definition video and audio distribution, easy-to-use technology leaves your guests with a lasting impression. 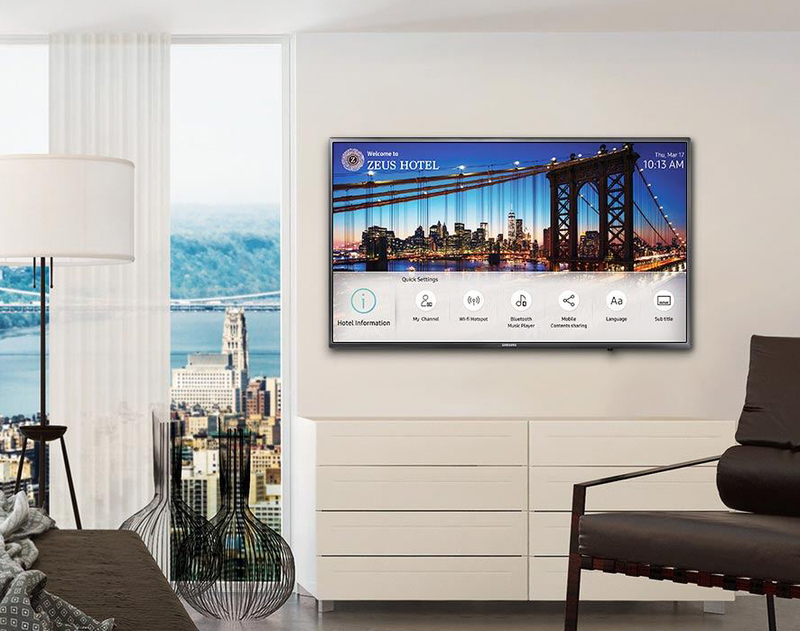 Flexible systems and intuitive controls give you and your guests the ability to customize your surroundings on a single intelligent, reliable platform. Create a smart hotel room with adjustable lighting, shades, air conditioning and more on a user-friendly touchscreen. Allow your guests to view scheduled events, restaurant menu or book a service without even leaving the room. 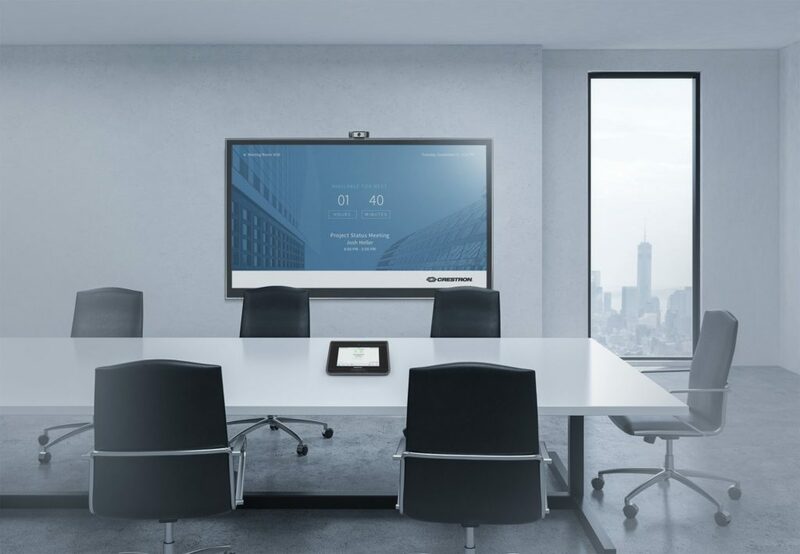 Organize seminars or conferences with advanced video conferencing and presentation systems that allow all participants to connect from their devices. Give all the guests the feeling that they have front row seats in dance and concert halls, casinos with customized audio distribution systems. 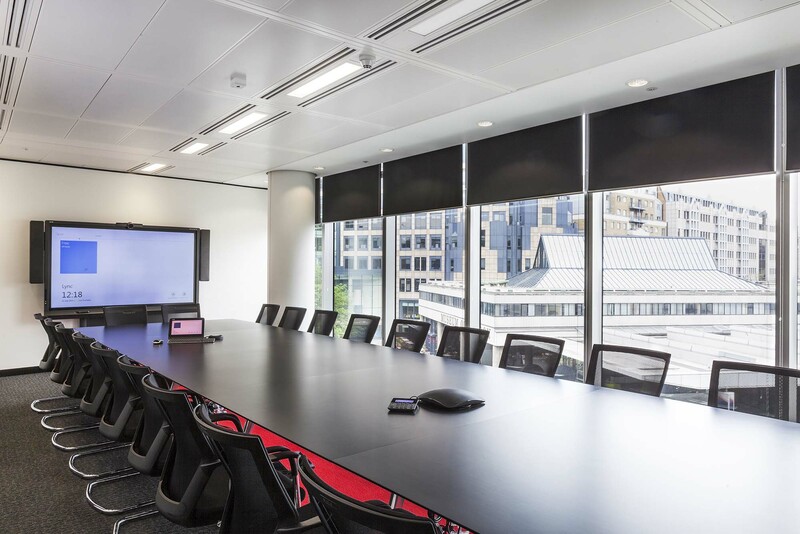 Lighting solutions simplify the design, installation and control of lighting with appropriate products and systems to meet the needs of each space in the building. All devices are integrated for optimal energy savings, improved health and productivity of user and comply with the highest aesthetic standards. With lighting controls and motorized shades, you can easily manage energy consumption, balance natural light and room temperature to provide a comfortable work environment and energy-efficient space. Compared to conventional lighting control systems, modern systems offer numerous advantages: simplified installation, smaller components and logistics, faster putting into operation and seamless networking. Convert your house into a unique smart house, with automation and control solutions, in accordance with your wishes and needs. 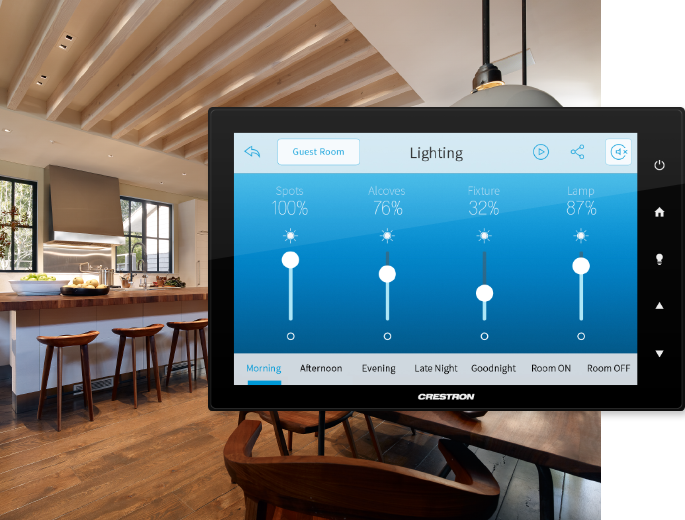 With one touch of a button or one voice command, control the lighting, motorized shades, heating or play your favorite music or TV show. The smart house is completely safe and secure with automated security settings that turn off all lights, lower temperatures, lower the shades and lock and secure all doors. With careful design and planning and modern installations without the tangle of cables, it is possible to meet even the most demanding aesthetic and functional requirements of architects and clients.